-Car controller : move, jump, break , auto reverse, collision with other cars , hit objects. -Easily modify or add your car. 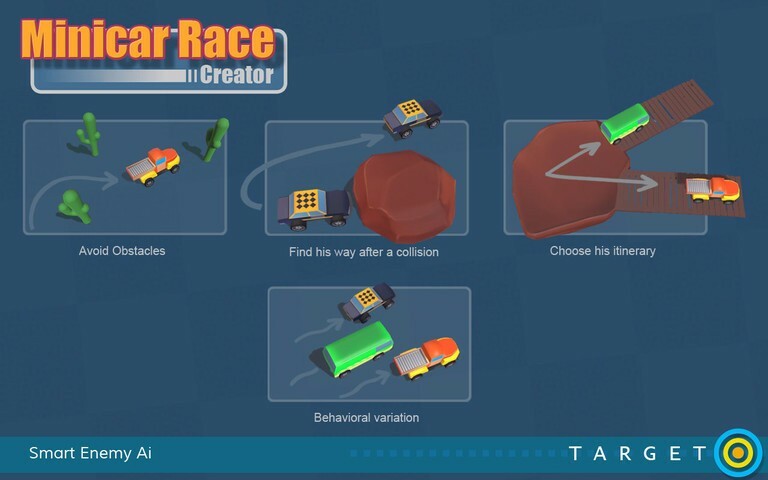 -Enemy car Ai : path system , avoids obstacles, choose itinerary, find his way after a collision, behavioral variation. 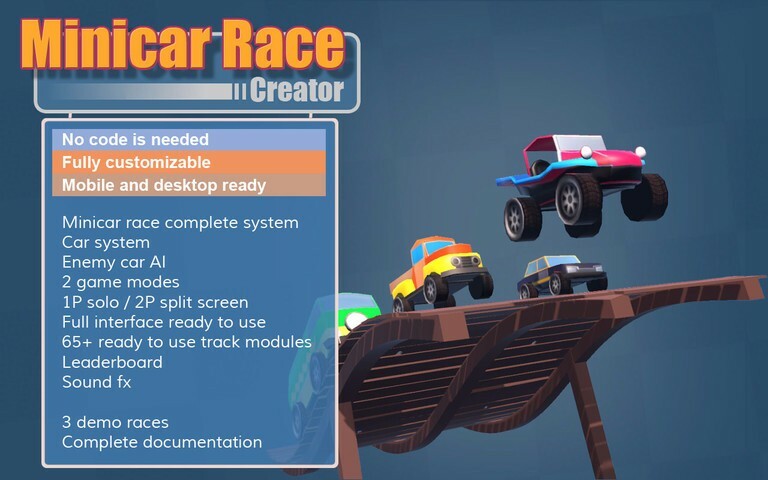 -Single player ( 1 player + 3 CPU cars). -2 players splitscreen ( 2 players + 2 CPU cars). Main menu, choose car menu, choose track menu, race result tab, pause, local leaderboard, back to main menu. Input system: joypad, keyboard, mouse and mobile inputs + settings menu: (Input, quality settings, sound volume). Unity ads : ready to integrate. Mesh combiner script included to optimize framerate . Lightmap ready + lighting presets.